Enjoy a few days on Phi Phi Island and combine it with 3 days diving on local Phi Phi Diving Sites and last but not least a few fun nights out in Krabi's Party Mecca No. 1. 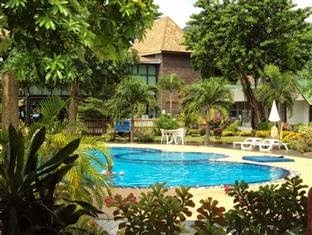 Package price includes: Accommodation at Phi Phi Andaman Legacy Resort based on twin/double sharing in Superior Mountain/Pool view room, daily breakfast at hotel, Ferry return transfers from Phuket Island including pick up and drop off at Phuket Hotels, 3 days (2 dives per day) of scuba diving for Scuba divers. Tax & Insurance. Not included: Scuba Diving gear, activities for non-divers. Interested? Like to go? Contact Us Now! Like to Add a visit at Maya Bay? Let us know! We organize Private Toursfor for you and add it to your Package. Khao Lak is a popular travel destination on the west coast of Thailand, just 1.5 hours north of Phuket. For Scuba Divers staying in Khao Lak the best choice to get some good diving in is coming down to Phuket. What a fantastic and beautiful weekend trip on MV Sai Mai everyone really enjoyed the overnight trip to Racha Yai and Racha Noi. Racha Yai is about 90 minutes by diving boat and 30 minutes by speed boat from the Phuket port of Chalong. The island has beautiful beaches on the west coast with great sites for snorkeling and scuba diving. The resorts on the islands can cater to everyone's needs, whether they are a five star villa resort or a basic beach side bungalow is required then you can find them here. I believe Racha Yai has some of the best beaches in Thailand. Racha Yai is ideal for a day trip too. You can go there for a day trip to enjoy the snorkeling and walking along the deserted beaches and then lunch at one of the island restaurants or if you have more time on your hands you can spend two or three nights there. Away from the hustle and bustle of Phuket, its an island paradise waiting to be discovered. Between 10:30 and 14:30 hours there are a lot of day trips to Racha Yai, but then when they have gone back, the white sandy beaches and crystal clear water are only just for those who stay longer or overnight. Racha Noi is 30 minutes further south from Racha Yai and those that come here very rarely want to leave this small piece of heaven. The island has two beautiful beaches and in our humble opinion, view is best place for an overnight stay. Many people who come to Phuket year after year still do not know about this place it is a well kept secret. The azure waters around Racha Noi are so clear that can you see the bottom 30 meters below and is a great place for Scuba diving and snorkeling. In peak season, when Phuket is overloaded with folk, you can spend all day without hardly seeing anyone or at the most, with only one or two boats insight. The corals both hard and soft are healthy and full of life. The fish life is in abundance here to with all the usual Indian Ocean reef fishes adding colour, Barracudas to Nemo, to White Tip reef Sharks to Hawksbill Turtles all call this island home. Because of the strong currents that run along Racha Noi it makes it an ideal environment for the bigger fishes too and sightings of Manta Rays and Whalesharks are common here. MV Sai Mai additional information here. She is the perfect boat to get you wherever you want to go around the waters around Phuket. 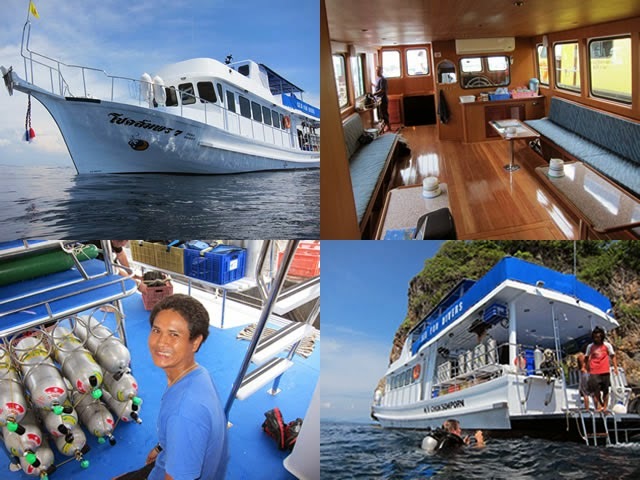 Offering top quality diving and snorkeling plus all refreshments and some of the most amazing Thai food you may have ever tasted.